I love Beth's books and I am so excited about this new series from her! I love weddings, everything about them, and the whole destination wedding concept gives it an extra alluring element. Vanessa is such a fascinating main character as she is in a high-stress, constant job and she is engaged to a man with a similar occupation, yet he also provides her with the stability that she lacked growing up, even though he does not seem to have that romantic side to him. Then Logan is entered back into the picture by chance when Vanessa goes along with her fiancée's plan for their wedding. I really loved this book! Vanessa's childhood has played such a huge role into how she is today with her relationships and overall style of life. Ted and Logan are such different individuals and I loved seeing Vanessa interact with both of them and how she was with them. This is a whirlwind story that you are not going to want to stop reading once you begin! In this inspiring call to arms against victimhood, Holly Wagner challenges women to enlist as Warrior Chicks. She shows women that they are beautiful just the way they are, they are destined to be overcomers in this life, and that the battle is already won for us. She shares the secrets of being equipped to fight the good fight and do more than just survive. As one who has battled many things in her life, including breast cancer, Holly shows how you can be either a casualty of the pain or a warrior who overcomes. Holly Wagner is copastor of Oasis Church in Los Angeles, California, and reaches thousands of women each year through conferences, books, and other resources. She is a popular conference speaker known for her challenging, humorous style and honest approach to real-life issues. Holly has written four books, including GodChicks and Daily Steps for GodChicks. She and her husband, Philip, have two children. I have read some of Holly Wagner's other books before, but I have to say that her latest, "Warrior Chicks" is my favorite! I absolutely loved this book and the message inside of it. I would pick this up and read a chapter and be left feeling energized and ready to take on the world (or at least my to-do list and schedule for the day!). Holly's writing style is so easy to read and I love that she ties in her own personal thoughts and stories as well as tying in historical events, social media, everything to help get the point across. This is a great book for each and every woman to read and is a true "girl power" book that will inspire and motivate you to take charge and be the best you can be instead of sitting back and just dealing with things in your life. Then Emmie's dear friend extracts a costly promise: if anything happens to her in childbirth, Emmie will marry her widower and raise the baby herself. And it seems Emmie may have to fulfill that promise. But can she live happily without Isaac? "A Heart's Promise" continues the saga of Sarah and Rand, and the others whom play such a large role in their lives and story as well. Emmie is still trying to come to terms with her past and her secret and cannot bear to think about what will happen once others find out. However, Jessica arrives back on the scene and has her hat set on Isaac and threatens to share Emmie's secret as she recognizes there is something between Emmie and Isaac. I have been enjoying this series so much as there is so much tied into these story - love and betrayal among families and loved ones, and hope and redemption. However, this installment to the story really seemed to be filled with action and a lot of things were happening in everyone's lives, but there are also unanswered questions that left me hanging and eager to read the next installment. I absolutely loved this book! I am a fan of Melissa's books anyways and once I read the description for "A Bride At Last," I knew I must read this one as well! Kate was intended to be a mail-order bride, but things did not work out, and Silas was abandoned by his mail-order bride and both have tried to move on from these incidents. As these two individuals find themselves fighting for a common cause (child) the past hurts and secrets intertwine as well. I have always loved reading stories that have mail-order brides as I find the concept exciting and scary at the same time and of course things do not always work out as intended as was the case with these two characters. This is such a sweet story though of love, family and overcoming past hurts. I highly recommend this story as well for a sweet and inspiring read. 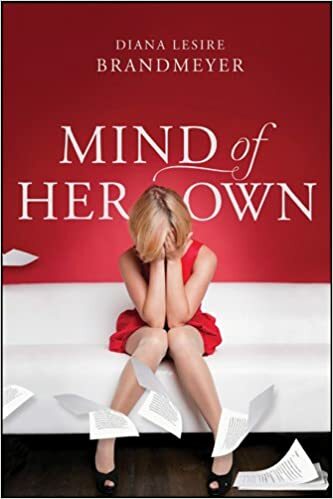 "Mind of Her Own" is an entertaining yet also thought-provoking book that will hold your attention from beginning to end. Louisa is living the perfect life; however she is not perfectly content with how her life is. Suddenly her life is changed when she awakes from getting bumped on the head and is suffering from amnesia. As Louisa struggles to find out who she really is and what her life is really like, the whole family is in for some surprises and changes. I found this book to be well-written and enjoyable, but it also had thought tender and at times sad moments. It can be so easy to compare ourselves and our lives with others either people we interact with face to face or via social media and think that others' lives are perfect and it's easy to not be content with ourselves and we play the "what if" game. This being said, Louisa struggled with some of the same things and this made her such a relatable character and a character whom became real throughout the book. Now I am eager to find some more of Diana's books to read as I enjoyed her writing style. is such a fun and nostalgic cookbook! This book shares the history and also the close demise of Twinkies just a few years back. Then it dives right into the recipes which all sound and look amazing. The recipes are sorted and shared by type, such as ones that are Twinkies and fruit, Twinkies and chocolate and pies that are made with Twinkies. I love the pictures that are interspersed throughout the cookbook as well. This is a must-have for anyone and everyone whom loves Twinkies or has a love for unique cookbooks and conversation starters. Jonathan Gilchrist never wanted to inherit Kettering Hall. As a second son, he was content to work as the village apothecary. But when his brother's death made him heir just as his father's foolish decisions put the estate at risk, only the sale of a priceless possession---a ruby called the Bevoy---can save the family from ruin. But the gem has disappeared. And all trails lead to Iverness Curiosity Shop---and the beautiful shop girl who may be the answer to his many questions. "The Curiosity Keeper" is book #1 in Sarah's new series and I found it to be an excellent start to the series! Camille's mother left and never returned and has had very limited contact, Camille is trying to keep her father's shop going and now she must rely on a stranger's help. Camille was a great main character whom I really liked and loved watching the friendship develop between her and Jonathan. I have been really enjoying reading about this time period and the London setting as well. Sarah does an amazing job with creating the scene and bringing the time period to life giving the story and characters a very realistic feel. I am looking forward to book #2! Rebecca DeMarino is the author of A Place in His Heart, book one of The Southold Chronicles, a series inspired by her ninth great-grandparents, Barnabas and Mary Horton. She inherited her love of baking and gardening from her mother; a love of horses, reading, and writing from her dad; and the wanderlust gene from both parents. Rebecca lives in the Pacific Northwest with her husband, Tom. Learn more at www.rebeccademarino.com. I really enjoyed Rebecca's latest book and the historical details and setting throughout the entire story. Heather is forced to deal with such a horrific event that unfortunately was probably all too common during this time period, and yet she allows her heart to love again as she finds herself torn in her feelings and devotion. I love how the setting and characters were so vividly written about so that they came alive and I felt as if I were a part of the story. I enjoy reading about places that I am familiar with and imagining how they must have been so many years ago. 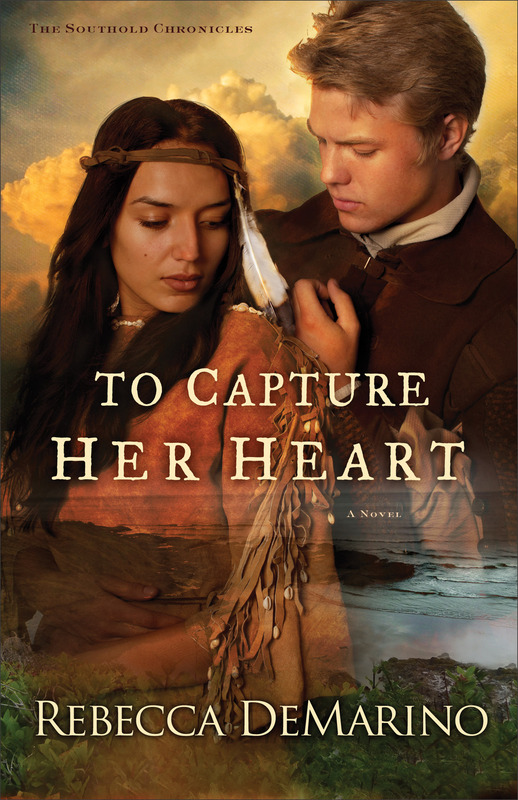 If you are a fan of historical romance, then Rebecca DeMarino is an author not to be missed! This is a great read that will touch your heart and stay with you long after you read it. Each of us are broken, pieces of us, parts of us, but this does not mean we are beyond repair, beyond hope. Cynthia shares how various items are repaired and the time and work that goes into this; much the same way that God heals each of us if we allow Him to. It is so easy to accept how things are and not try to work on things or make them better; Cynthia does an incredible job with sharing her heart and thoughts and sharing how our wounded souls and spirits can be healed if we want. Melanie has written an incredible story, "Shadows of Ladenbrooke Manor," as it is layered with deception, secrets, love and truth that has been hidden throughout generations. I was immediately drawn into the story and Maggie's world. Melanie does a great job with writing as she easily brings the reader into various time periods and various characters' lives without losing disrupting the flow of the story. This story and the characters (all of them) became so real to me as their pasts were revealed and I found myself empathizing with them as difficult decisions were made and at times poor decisions as I wondered how lives would have turned out differently. This is a mind and heart consuming tale as it is impossible to not become completed involved in the story and in the lives of these characters as their stories intertwine and are shared piece by piece. 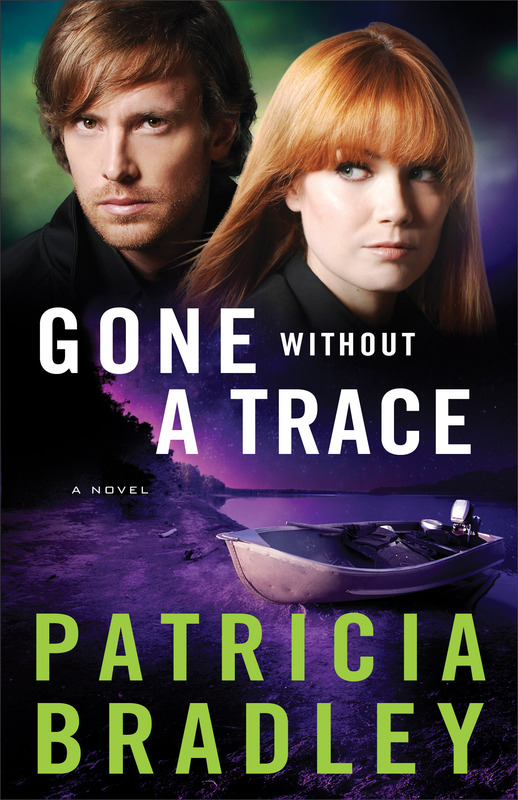 "Gone Without A Trace" is a thrilling conclusion to the Logan Point trilogy. This is a fast-paced, high intense book that you will not want to put down once you start reading! I highly recommend you read the first two books in the trilogy first as this book will finally ease your minds as far as some of the happenings. Livy and Alex are both great main characters whom must work together as they race against time to solve a mysterious disappearance that is similar to one that is unsolved from a few years prior. I loved how this story unfolded and all of the pieces come together. I highly recommend this book and trilogy if you are a fan of romantic suspense. "Straight Up Tasty" is such a fun cookbook from Adam Richman! This is more than a collection of recipes; this is favorite foods from across the country allowing the reader to experience how foods are prepared in various regions and experience local fare. There are recipes in here for any and every meal including snacks and sauces. There is such variety among the recipes as well including spaghetti pie, spicy tuna bake, easy sushi and then desserts that include chocolate mint blizzard shake, tart fruit pops and challah bread pudding.' I love the layout and appearance of this book as well with the graph paper and notebook paper used throughout as the backdrop to some pages and the photographs are very well-done. This is a book you will not only want to cook from, but also to look through often! I really enjoyed "Beyond the Ashes" which is book 2 in The Golden Gate Chronicles series by Karen Barnett. This is excellent historical fiction that takes place in a gorgeous and well-described setting that comes to life. Ruby is a young widow and is tired of being the object of everyone's pity and makes a sudden life changing decision. Ruby is a loveable character as she is a determined, strong individual and so real that she was easy to empathize with throughout the book. This story also has a medical component to it which adds another element to the book and the historical details of the medical field along with the details of the traditions, clothing and the ways of society of this time period create a lovely read. It's time to start treating yourself the way you treat others As children we're taught to treat others the way we would like to be treated. But as adults, we often need to turn that old maxim around. We're good at showing compassion to other people--but many of us have trouble showing that same compassion to ourselves. We say things to ourselves we would never say to a friend. And all this negative self-talk can have a devastating effect on our lives and relationships. Kim Fredrickson has been a licensed marriage and family therapist and certified Christian life coach for more than thirty years. An adjunct professor, speaker, and author, she loves helping people become equipped spiritually, emotionally, and intellectually with practical skills to live more effective and fulfilling lives. She has been married to her husband, Dave, for thirty-seven years and they have two grown children. Learn more and read her blog at www.kimfredrickson.com. 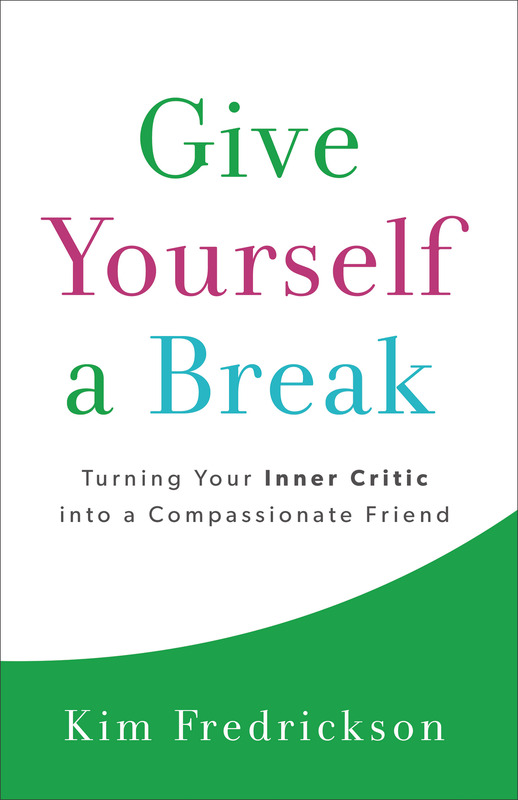 "Give Yourself a Break" is a great read and one that I realized I needed to read more than I would have thought. It is so easy to be so critical on ourselves and this is so harmful when really we should be treating ourselves how we treat others. 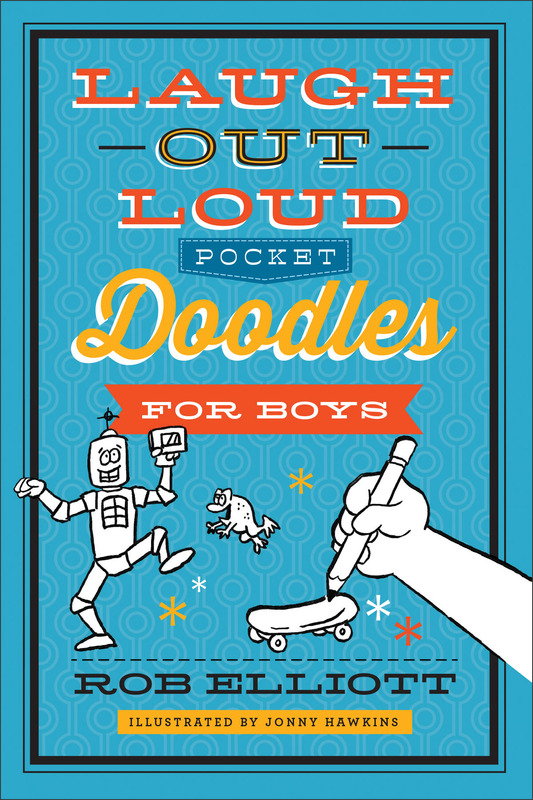 This is full of thought-provoking points and lists to help the reader reflect on the points shared. I really enjoyed the section on self-soothing techniques especially during times of stress as in a moment we can go from our heart racing and becoming escalated to taking a moment and taking a deep breath and getting back to baseline. "The Innocent" takes the reader back to Harmony Hill for a bit of mystery and sweet romance. Carlyn's husband has not returned from fighting in the war and although others refer to her as a widow, she has not accepted that fact. Carlyn has been struggling to get by and has been living in a home she has been unable to pay for until the owner shows up with the Sherriff. This begins a new chapter in her life as Carlyn seeks a home in Harmony Hill. However, this village is not as peaceful as she believes it to be and Carlyn finds herself in the midst of the trouble. This is another great story from Ann H Gabhart that fans of her work will not want to miss out on! This is an excellent historical romance book to enjoy this summer. I have a daughter (age 6) and a son (age 4) and they are fans of these books! Each page has a joke and a partial picture that needs to be completed. This results in giggles, not only for the joke but also whole drawing to complete the picture and sharing it with others once it's complete. This is a great book for older children to work through on their own or with friends or siblings and for younger children something fun to take a few moments to do with an adult; this will result in memorable moments for sure! 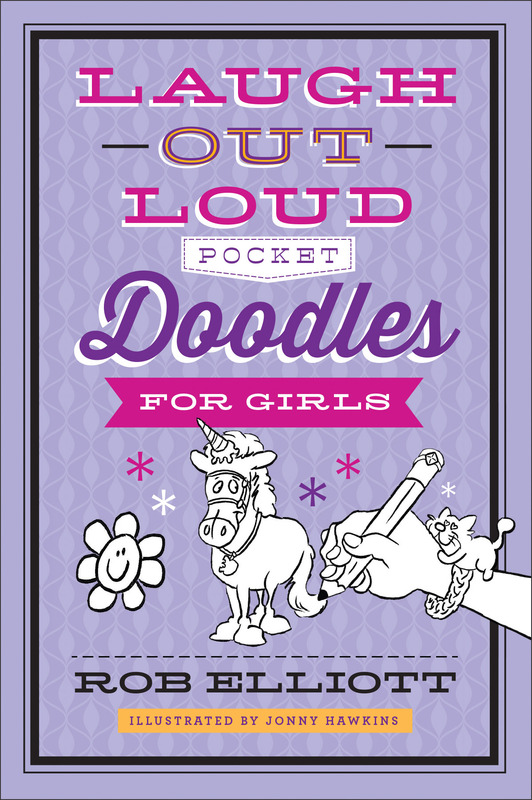 In my daughter's words, "This joke book is so fun because I love drawing and it's funny!" In my son's words, " These are funny! I like doing these with you." 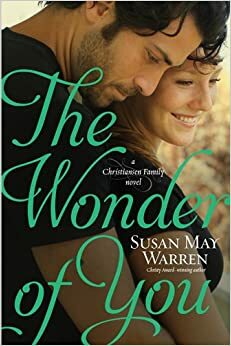 I absolutely loved the latest book in Susan May Warren's Christiansen Family series! This book focused on Amelia, the youngest of the Christiansen siblings. Amelia has also been watched over by her siblings whom all feel like they need to protect her and make decisions for her. Amelia returns home feeling like a failure, yet also confused as her heart is being pulled in two different directions and by two different men. While "The Wonder of You" is Amelia's story, it also continues on with what is going on in all of the other siblings' lives. I am so looking forward to the next book in the series, yet also I am sad as it will be the last one in this series about this family whom I have enjoyed spending so much time with. I really enjoyed this latest book from Betsy St. Amant. Betsy has done an incredible job with sharing a powerful message through this story, the message that God can make broken things beautiful. There are so many moments that we may feel defeated, broken, discouraged, things are not going right, but then other moments that show us that God is in control and things are good. This was a sweet love story as Stella's fairytale did not turn out to be a happily ever after and she does not believe she will ever end up with that, but then things change. However, secrets get in the way and trust is broken. This is a powerful story with relatable characters.